Passengers stranded at Peterborough Jump to media player Passengers travelling south on the east coast main line were forced to stop at Peterborough because of damage to overhead power cables. 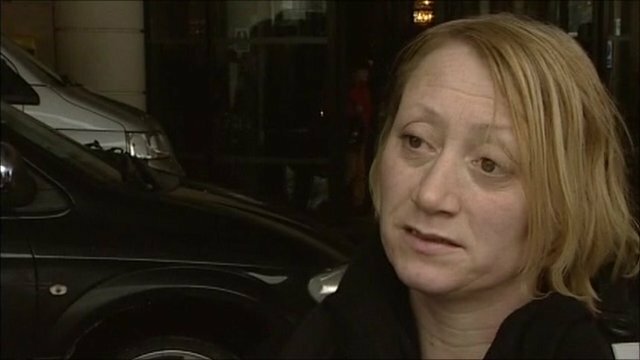 Heathrow passengers on their travel woes Jump to media player Would-be passengers, who have had their air travel plans disrupted by the cold spell in the UK, have been speaking to the BBC about their experiences. 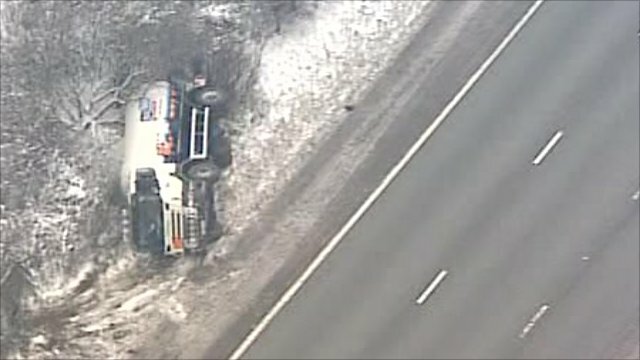 M-way shut after tanker overturns Jump to media player The M25 was closed in both directions on Sunday morning between junctions five and six, causing long delays, after a liquid petroleum gas tanker overturned at 0900 GMT. 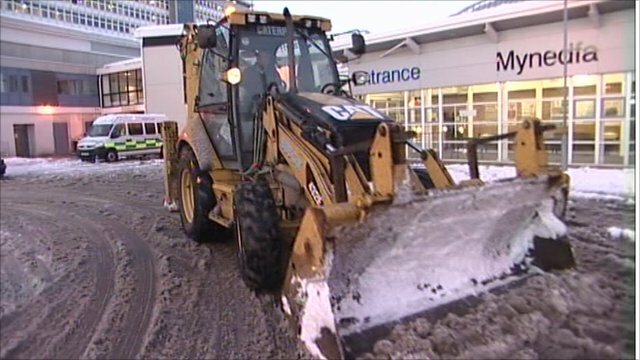 Hospitals struggle in the snow Jump to media player The severe weather has caused problems in Wales, where heavy snow and ice prevented many health workers from making it to work. Passengers travelling south on the east coast main line found their services stopped at Peterborough, because of damage to overhead power cables. East Coast Trains say engineers will be working through the night to repair them. 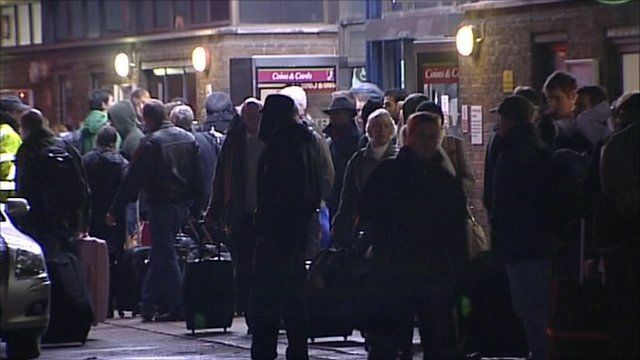 Stranded passengers told the BBC of the "utter chaos" they faced.